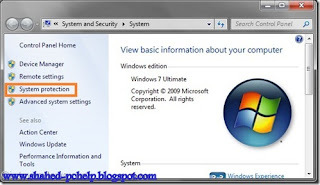 How To Create A Manual System Restore Point In Windows 7.. 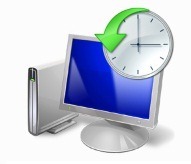 The person those who like to play with system files they highly need System Restore Point . It is one by which we can keep our windows stable. Sometimes when we are playing with our windows and suddenly we missed some dll file and our windows started to create problem. 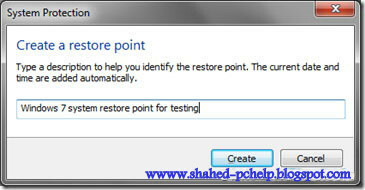 If we create any System Restore Point then we can easily get back the missing dll file and we can make our windows just like previous one. 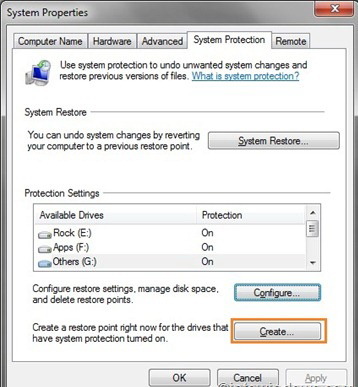 System Restore Point is nothing but only the store of our windows system file. 2. 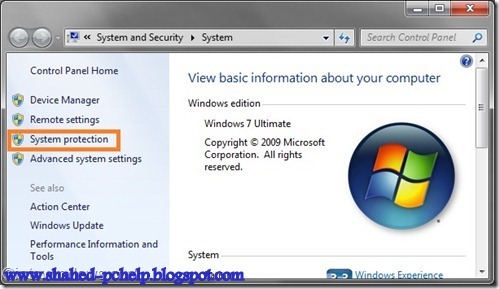 When the System window come then click on System Protection link. 3. 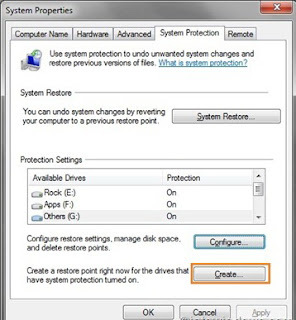 When the System Protection will open, just click on the Create. 4. Now you have to give the mane of your System Restore Point name > then create.